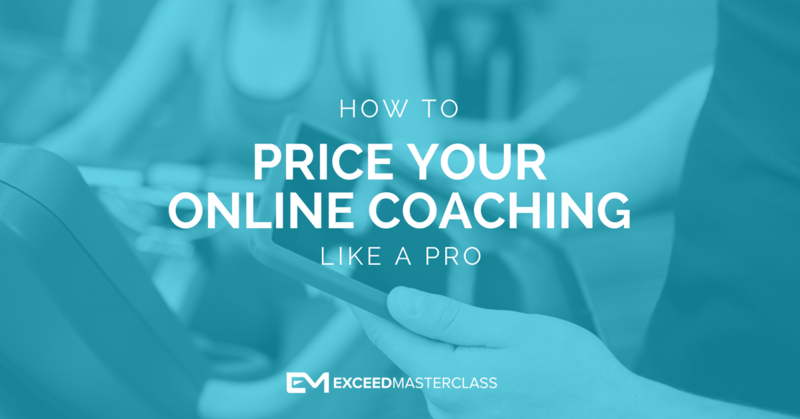 Setting the wrong price for you online coaching can be catastrophic for your fitness business. 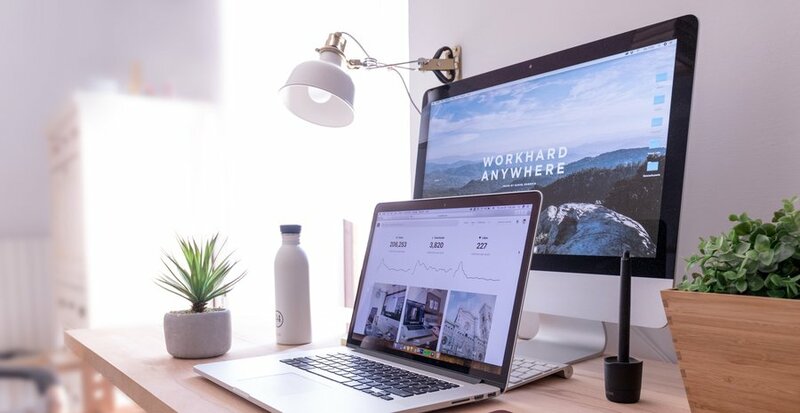 If you've ever created an online program, you're familiar with the challenging questions about the price you decide on. Is it too high and no one will join? Is it too low and you're leaving money on the table? How the heck do you figure out what the 'right' price for your offer is, anyway? Well, in this week's brand new podcast episode, I help Masterclass member Vickie find the perfect sweet spot for her coaching program. Vickie: I started out doing a 12-week transformation program but it was hard for me to sell because it's a high-end ticket, $1000 program. I decided to do a smaller ticket item, a 30 days challenge, which is $147 and includes unlimited personal training. After those 30 days I want to upsell those customers to the 12-week or a year package. I'm hoping that once they feel me and the services that we provide that it will help. And I just want to get your input on that. Ru: Ok cool. Is this offline or online? Ru: OK. So, you've got a 30-day program, that's the lower level and you said that's $147. Ru: And what does that include then? Vickie: It's unlimited personal training, mindset and nutrition education. It's a complete package for ladies who are overweight. I've lost over 100 pounds myself and my passion is to help other women deal with weight issues. Ru: OK fantastic. When you say unlimited personal training. Whats does that mean? Vickie: I have classes available, small group personal training 5:30 in the morning and 7:00 in the evening, so they can come Monday through Friday any of those times, and on Saturdays. Ru: OK. Explain to me again the high-level package. Vickie: The high-level package is a $997, 12-week program and it includes the continuation of the mind building techniques, the support and accountability with weekly weigh ins, and a small private Facebook group. So it's just a continuation of what we did for 30 days at a lower level. Ru: Ok cool. But it's $997, it's nearly a thousand bucks? Vickie: Yeah, and it's hard to sell, I had only one client pay that. Ru: I bet it's hard to sell because if I do the maths correctly, for 30 days it's $147. And if I was to buy the 90-day program, going by the numbers it should be $450, yet suddenly it jumps up to $997. Plus, you're saying it's a lower level of support. It's going to be difficult for people to go from a 30-day program that costs $147 to a 12-week package that costs $997. So, I think your pricing could be an issue here. Vickie: The $147 package is a discounted price and my clients know this as I take off $350 as the introductory rate to motivate them to start moving. Ru: Ok, that is good way of doing it, but then it does make a bit of a big price jump. It's almost ten times the price, which ideally 10 percent of our clients would be willing to pay 10 times as much. How many clients have you put through the 30-day program? Vickie: I'm starting it in January so I'm doing enrolments now and I have eight people that have enrolled at the $147 package. My goal is to upsell them to my 12-week or 12-month package. So, I just wanted to get some insight of how to add that after the 30 days. Ru: OK, I think that makes sense that you've offered a discounted price so therefore that does make the 12-week package look better in terms of the price because it would have then been twelve hundred bucks. From my experience, for that type of price increase, which is close to 10 times the low level one, you should get around 10 percent of people take that upsell and that would be good. Ru: So, the fact that you've got eight people in that program and one person has picked it so far, that's good. Vickie: That was a customer in the past and they didn't do the introductory offer, they just did the high package straight away. But I had a hard time selling that and I was giving discounts of around $450-500. I was offering the 12-week program for half the price to make the sale. And I'm wondering if it's just depends on the area that I am in and people are only willing to pay about $500 for 12 weeks. Ru: Well that is something that needs to be experimented with, you must test your offers. Say you get eight people for your January intake for the 30-day program and you try to upsell them to the 12-week program and you don't get at least one person to take it up, which would be roughly about the 10 percent, then you need to find out why. You need to ask people and that's exactly what I do too. I ask them why didn't you buy this, and if price is the biggest hurdle, they will tell you. You could then offer those people your program for $700 or $500. This way you will be able to find your pricing sweet spot. Now, you might be thinking that's not worth my time anymore. And you're right to charge what you charge. Sadly, some clients don't see it that way so you could adjust the offer a little bit. Or the offer could stay the same and you could play with some of those pricing touch points and see how people respond to them. What you could do is create three different pricing packages, three tiers of the offer. This way you are going to allow people to self-select the option and price that they're willing to pay. And with time you're going to see a pattern. If everyone's going for the cheaper package then it might be a sign that you have overpriced the other packages. So, the $997 program is your top tier package. The other two tiers are going to be cheaper but remove something from the offer. For example, instead of unlimited classes they'd be allowed only 3 or 1 a week. Adjust the packages, remove a little bit from them, but drop the price to reflect that value. Vickie: Makes so much sense. Ru: I think we've just hit the nail right on the head there. Vickie: Yes. I really appreciate that, because I was trying to figure out how to do this. I didn't want to lose business after 30 days. I love the idea to give them a selection of three different packages, that makes sense, I can do that. Ru: I think that would be good and I have a final tip for it too. For the high-end package, you ideally want 20 percent of people to pick that one. If not, then it's too expensive. However, if you find that 40-50 percent people buy the $997 package, then that means it's too cheap. So, you can learn a lot from having these three pricing tiers. I think with a bit of time you'll start to see the trend and you can adjust pricing and offers based on that. Vickie: OK, very well said, thank you so much. We did it within the time frame. Ru: We did it in 10 minutes. That was awesome right, we got straight to the point, no hello, no goodbye. Has that got to the real heart of the matter? Vickie: Exactly, because people are asking, what happens after that 30 days and I say I have a different package but I first want to see how committed you are to me and then we can discuss pricing afterwards, because I didn't know what to say. but you've now helped me out with that. Ru: That's good. How are you finding the Masterclass? Vickie: The Masterclass is great. I went through some of the modules and I do need to go back, as I'm also in school so I've been juggling some things around. But everything looks so professional and well organized. I love the avatar module, and I'm like, oh I know the perfect client, so the Avatar worksheets are really good and helped me distinguish what I'm looking for in a client. Ru: Good stuff. Make sure you also reach out to me in the Masterclass, let me know how this is going for you, I'm there to help you. Vickie: Thank you, I appreciate it.